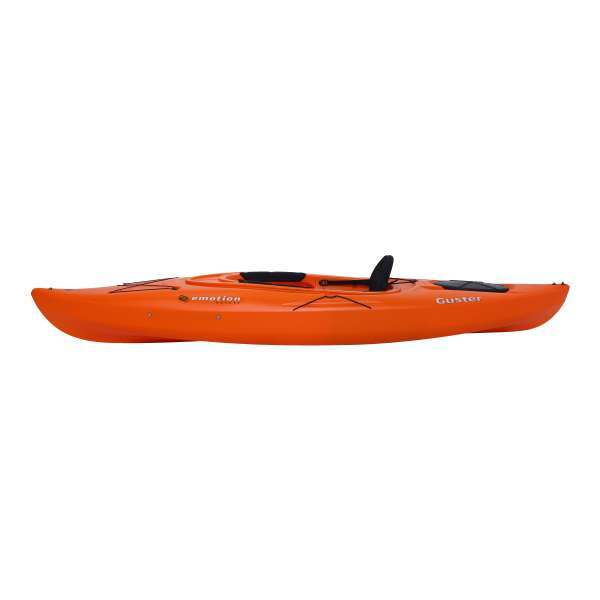 The Emotion Guster Kayak provides the perfect combination of comfort, stability, and performance in an exceptionally versatile package. 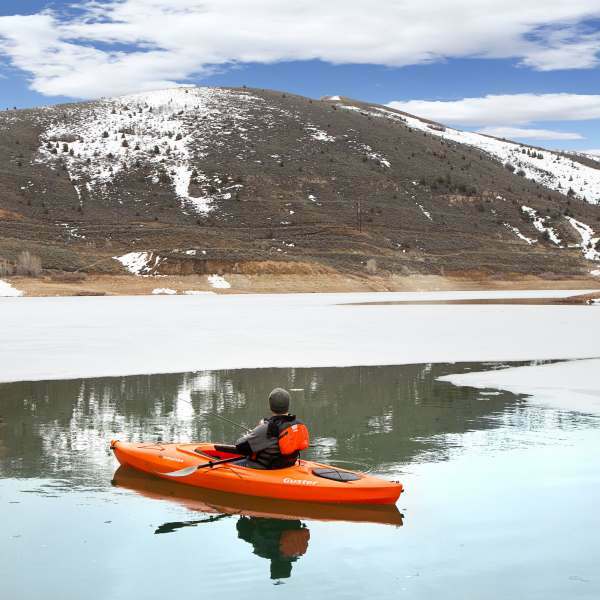 The Guster is made from High-Density Polyethylene (HDPE) with a design and size that is easy to handle on and off the water. The ST Performance Hull design provides the speed, tracking, and maneuverability for just about every water condition from large lakes and bays to slow moving rivers and creeks. 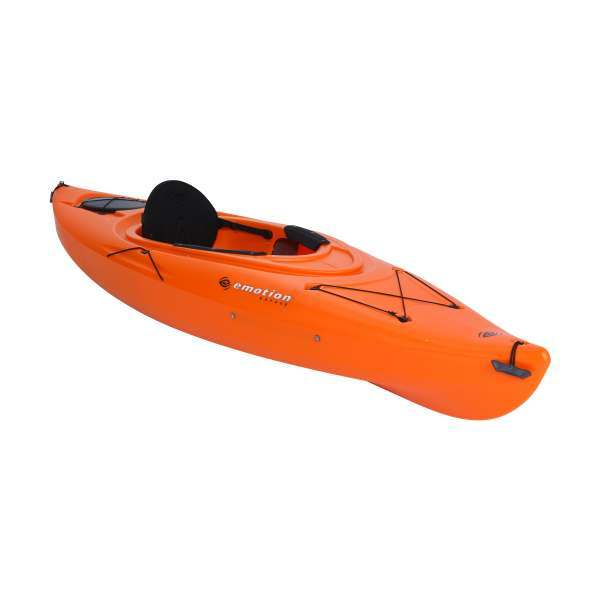 This kayak model is equipped with our Ledge Lock Paddle Keeper and other great features for comfort and convenience. Adjustable Padded Seat Back and Seat Pad for Comfort. Built In Foam Blocks for Additional Flotation. Front and Rear Handles for Easy Transport. Front and Rear Shock Cord Straps to Secure Loose Items. Ledge Lock Paddle Keeper for Easy Paddle Storage. Oval Hatch for Added Storage Beneath the Deck. ST Performance Hull for Tracking and Stability. Cockpit Area: 19.5 in. x 38 in. (49,5 cm x 96,5 cm). 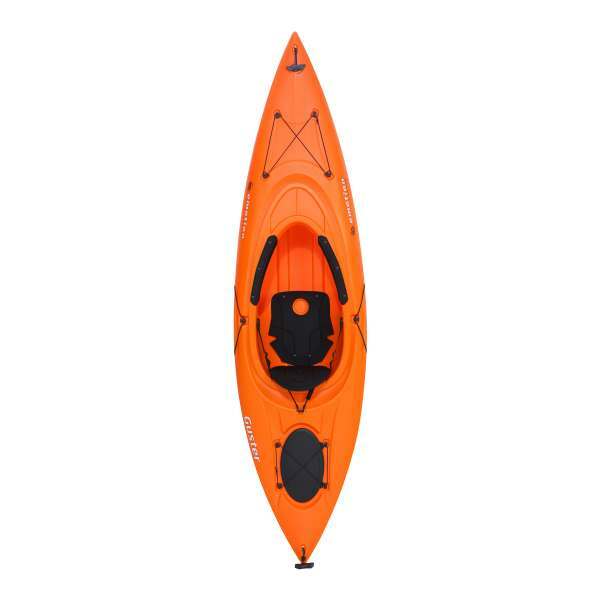 Deck Height: 14 in. (35 cm). Dimensions: 10 ft. x 30 in. (304,8 cm x 76,2 cm). Maximum Weight Capacity: 275 lb. (124,7 kg). Weight: 48 lb. (21,7 kg). Dimensions: 120" x 30" x 14.2"